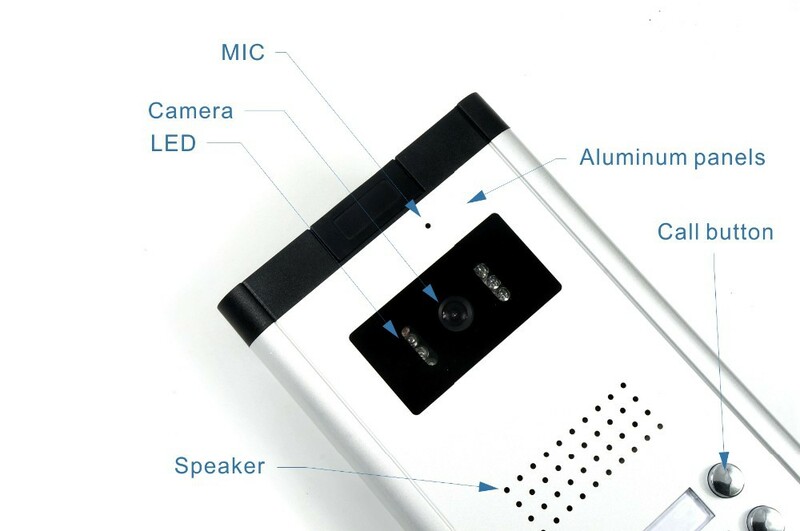 One,Two, three, four, five, six, eight, ten Twelve buttons outdoor camera for your choose!!! 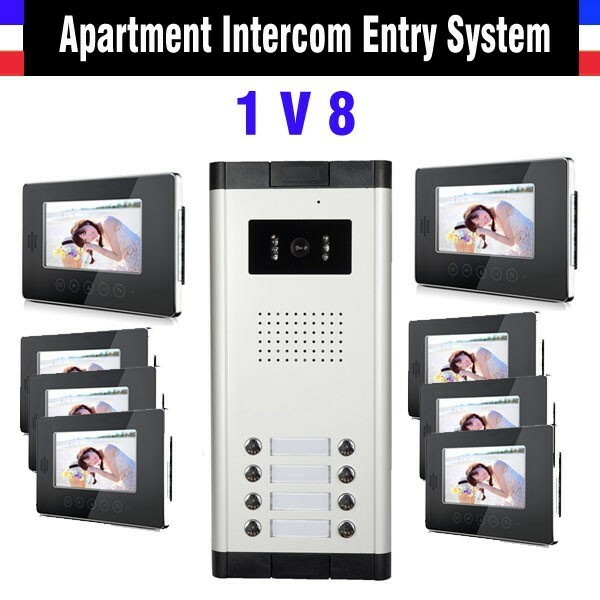 If you want to know more about Multi-unit video intercom doorphone,price, shipping way and payment way, pls kindly contact with us, send message by Aliexpress or talk with us by trade manager on line! 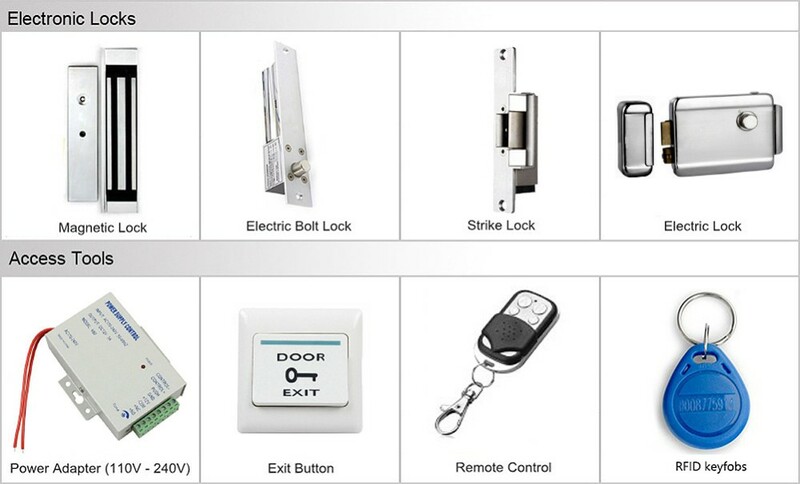 4: Many kinds of indoor units and outdoor units for our buyers choose, you can tell us any kinds of units you need, we will send the corresponding link for your reference! 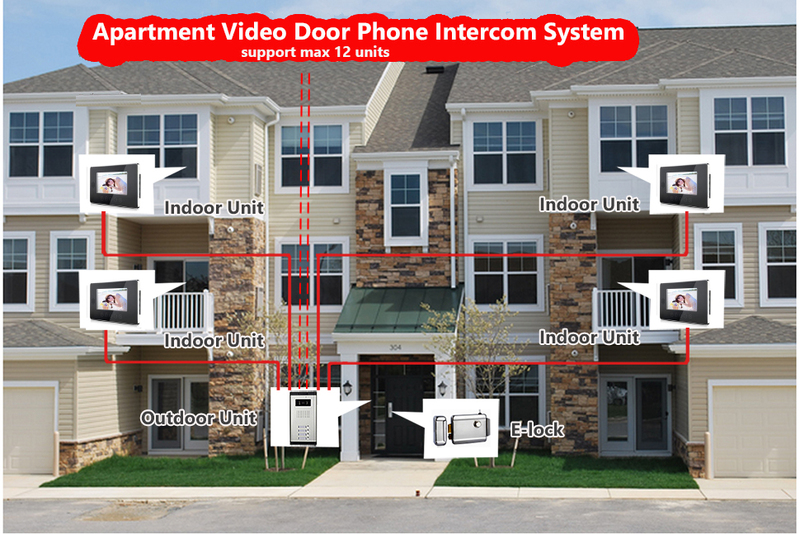 Brand New Wired Video Doorphone, High – definition cameras and Night vision, Remote control open the door , 7 inch Digital High-definition TFT-LCD for Indoor Monitor. 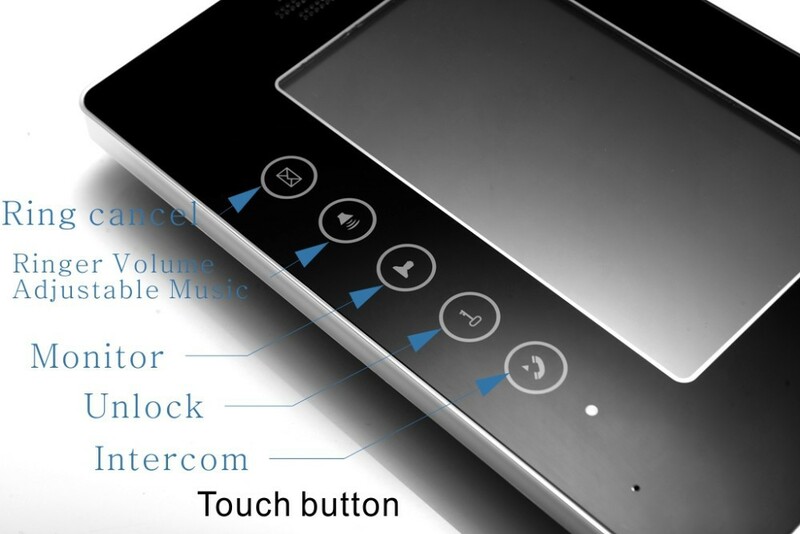 With micro-processing technology, auto-remote control, excellent performance and hight reliability. 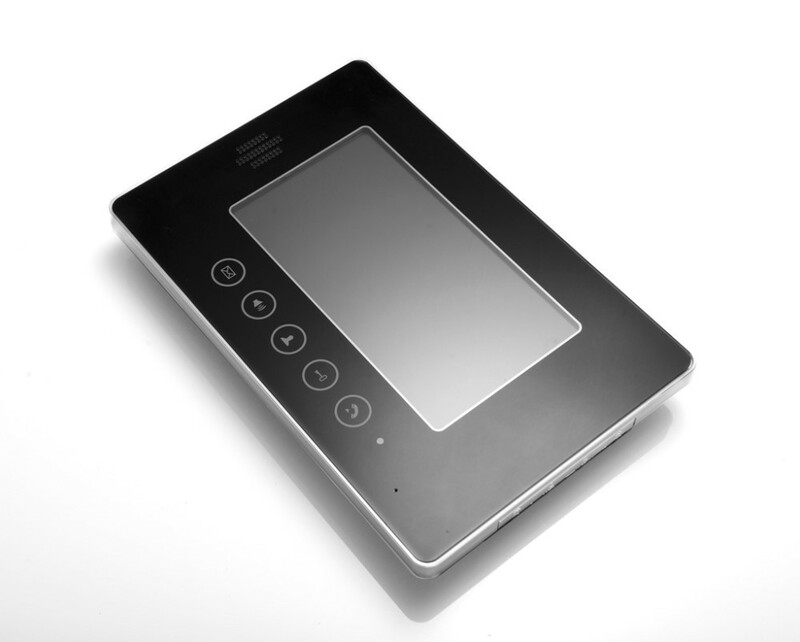 7inch TFT High quality panel : – Display Screen: 7 ” Full Color LCD – Resolution:800 x 480 – Monitor,Unlock,Hands-free,Call and Intercom function – Outdoor bells can call&intercom indoor monitor – Intercom between indoor monitors – Night Vision function when in low-illumination environment – 25 chord melodies and can be selected as calling ring – Max supports 1 outdoor camera with 1/2/3/4/5/6 indoor monitors – System support 1 or 2 or 3 outdoor bells – Built-in Microphone Head and speaker” – It is a door phone which can show you what is going on outside doors on a clearly 7″ full color screen of which the brightness can be adjusted. 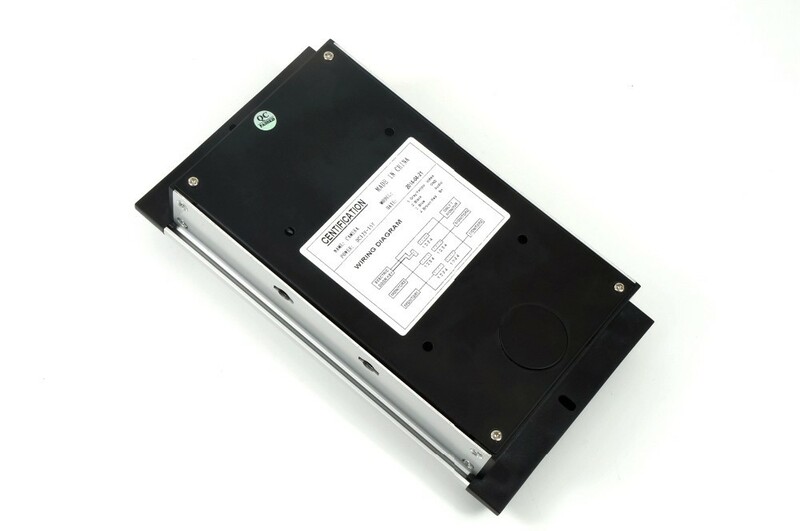 – It can function as a monitor. 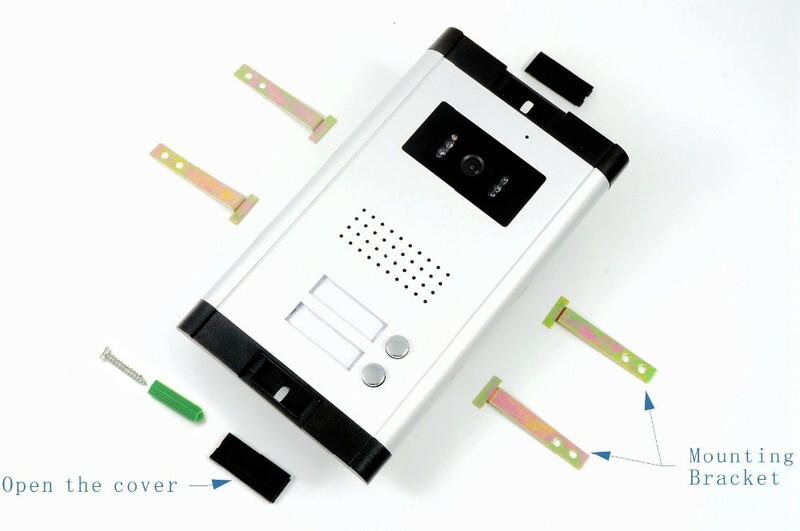 Press the button of Response/Monitoring, the screen will show you the picture outside doors, which makes you kown the outside world staying in the house. – The easy installation also is one of its advantages, which most customers care about. The mounted design of this item makes it very easy to be installed. 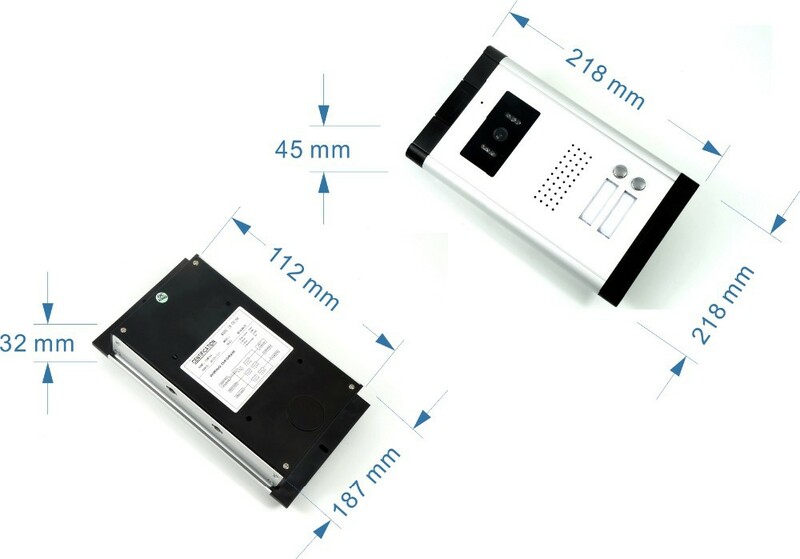 – As for the outdoor units, three kinds of components (all included in one package) are prepared for you to install the outdoor unit in different conditions. 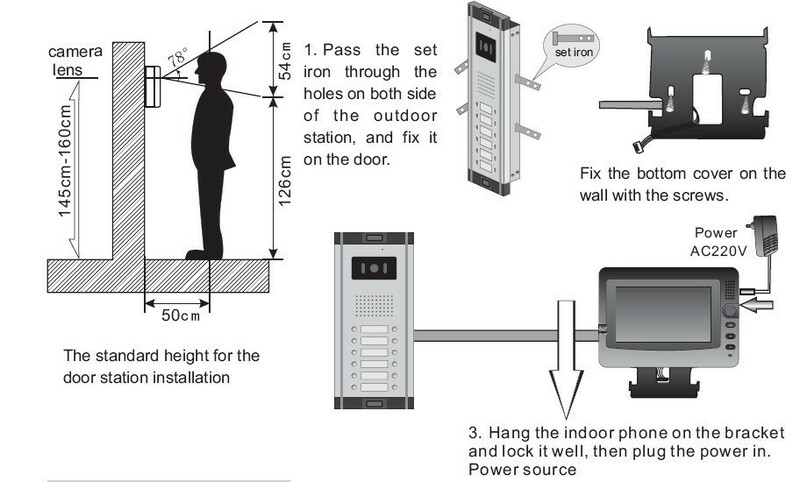 What’s in the package: 1 x Outdoor Camera 8 x Indoor Monitor 8 x Hanging plate 8 x Power Adapters 8 x 4-core connection cable 1 x 2-core connection cable 1 x Bag Screws 1 x Manual About the Power Adapters, We kindly provide European standards, American standards, UK standards and Australia standards. We will provide the right adapters according to different countries! 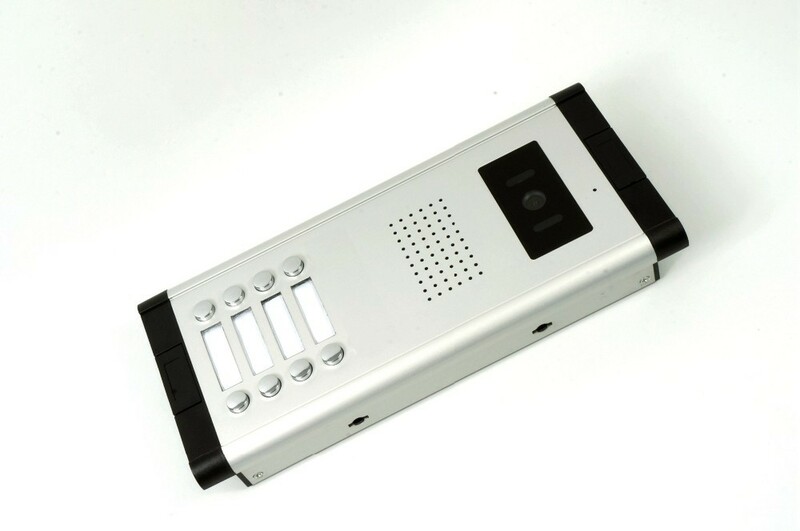 Install FIG : Attention: if you need buy Access control systems work with video door phones together, such as ( Entrance guard system/Wireless remote control/Door exit/Access control power supply/ ID Keyfobs and any other video door phone parts) Please send message to me. 1. Import duties,taxes and charges are not included in the item price or shipping charges. These charges are the buyer’s responsibility.